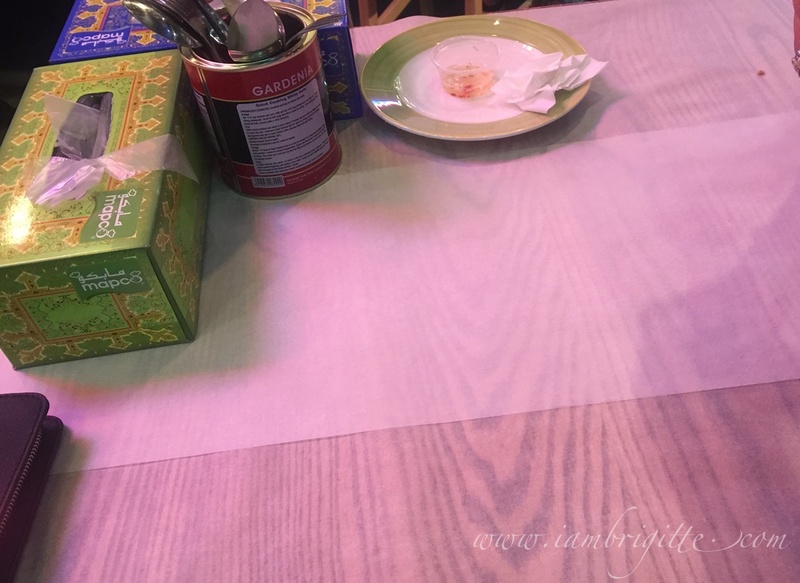 Since I cannot indulge in good food at the moment because I am still recovering from the operation, let me just satisfy myself (and you) with the great food that I and Mr. X had during one of our dinner nights back in the sandpit. I've been waiting for a chance to try out this newest seafood joint in Dubai since it opened. So when Mr. X asked me one weekend where I want to have dinner after hearing mass, I immediately said, "Dampa!" Mr. X doesn't really like dining out for seafood as he prefers having it at home but since he asked me, he didn't really have a choice. Hehehe! I told him I've read a lot of good reviews about the place and besides, what can go wrong when dining in a seafood restaurant? Thanks to WAZE, we didn't have a hard time locating the place. We arrived a few minutes after 6pm and we saw a lot of people already waiting outside to be seated. 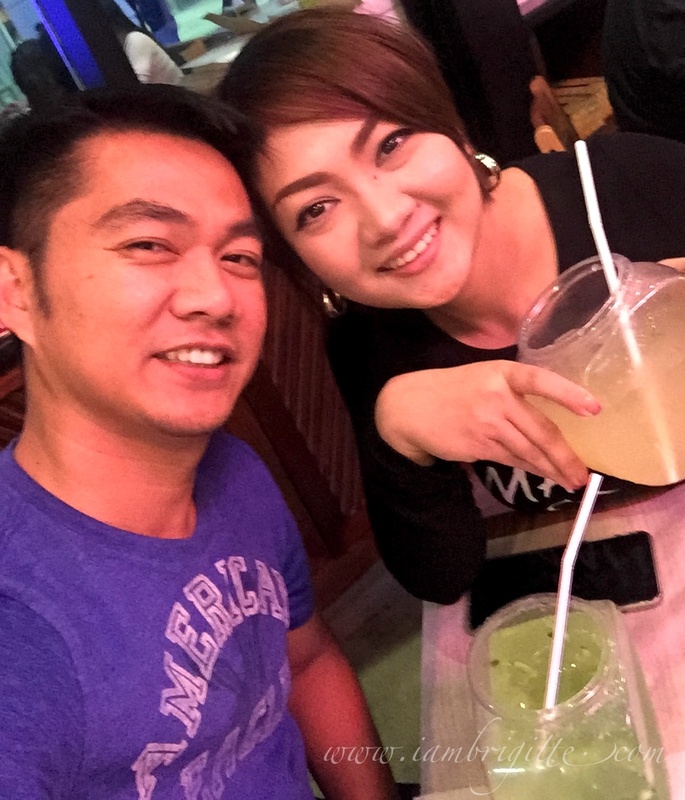 Actually, we were really not surprised as the restaurant has become famous to not only kabayans but other nationalities as well, since the day it opened. We had our name listed and though we were told that waiting time can be from 30-45 minutes, we still patiently waited as I really cannot wait for another day to try the food in this resto. So when "Miss Kris" (Mr. X gave his name and they thought it was my name, hence the Miss) was called, I got so excited that I didn't even bother asking if we are going to be seated outside or inside. Good thing we were seated inside as I don't think I'd be able appreciate al fresco dining during summer in Dubai. The dining setup? Table covered with wax paper...no spoon and fork, or knives. In short, this is dining with your bare hands! 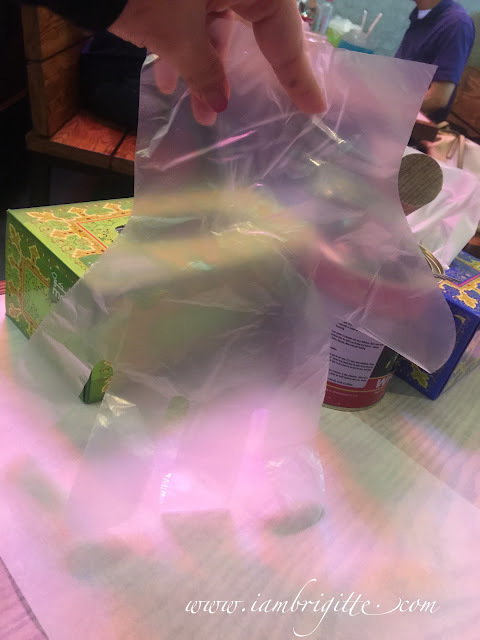 I wish that the restaurant will consider offering different sizes of gloves in the future, though. 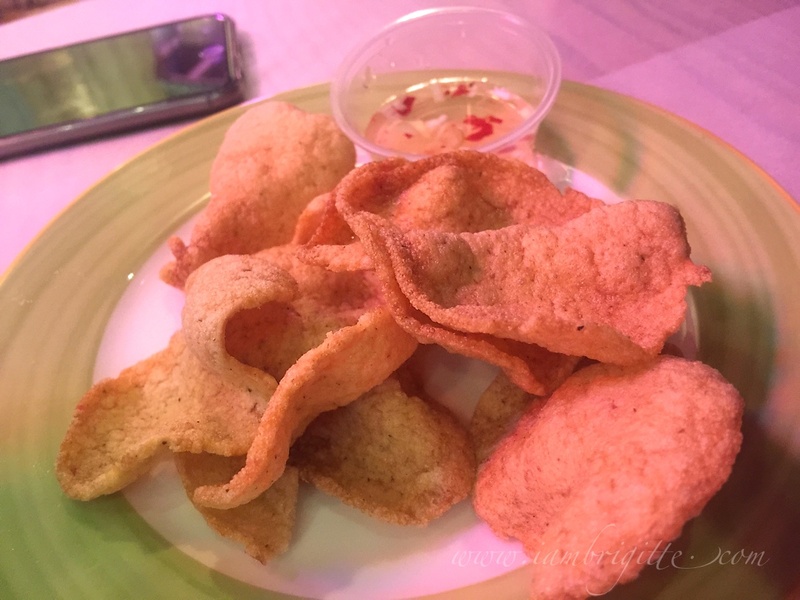 After getting your orders, you'd be served with complimentary crackers with a matching chili vinegar dip. We were already starving at that time that we were able to finish it in less than a minute, Hahaah! I wanted to ask for another serving but was too shy to do so. Hiya ako baka hindi pwede eh, but then I saw another group who did ask and they were given another serving. Tsk, ala talaga mapapala ang masyadong mahiyain! 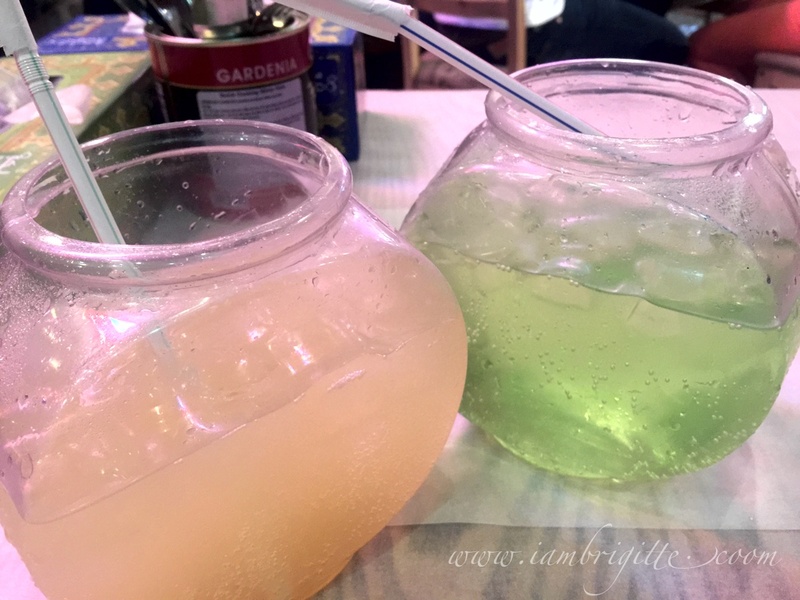 We ordered for Dump-A-Seafeast and so it comes with two fish bowl mocktails of our choice. We chose Lindsay Lohan (left) for myself and Incredible Hulk (right) for Mr. X. Corn cobs, shrimps, mussels and clams in a sweet-spicy chipotle sauce. This feast comes with unlimited rice too! 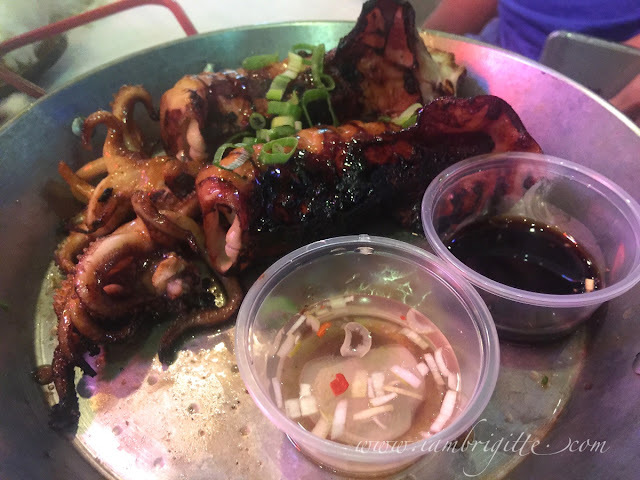 I usually skip ordering grilled squid in any seafood restaurant we go to because I often end up feeling like I am chewing a rubber band. But because of the great reviews about this particular dish, I just knew I need to give it a try, so I did. And OMG, it didn't disappoint! The meat was so tender I don't even have to chew on the same spot of the meat twice. It's so flavourful that I can skip dipping it in the vinegar. 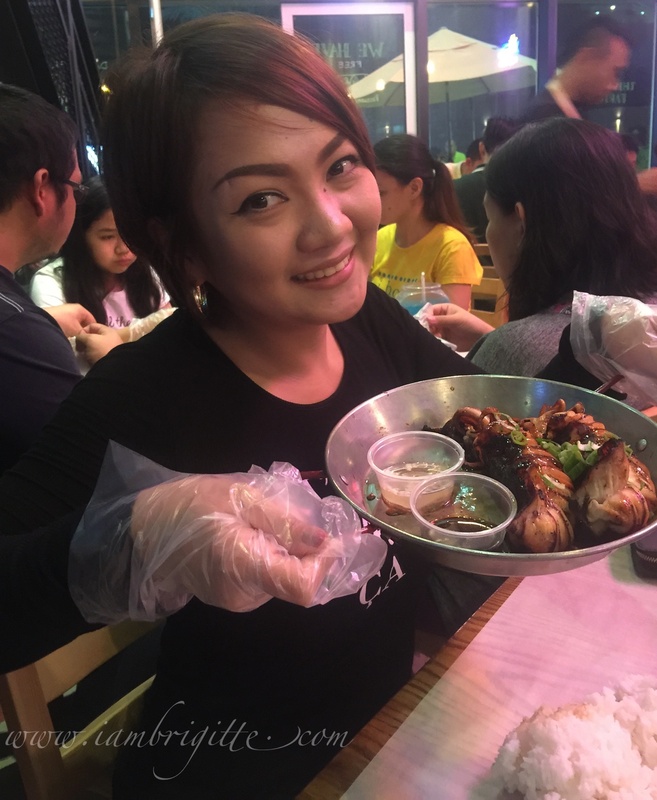 I can't remember enjoying grilled squid like I did at Dampa. Not even from any restaurant back in Manila. 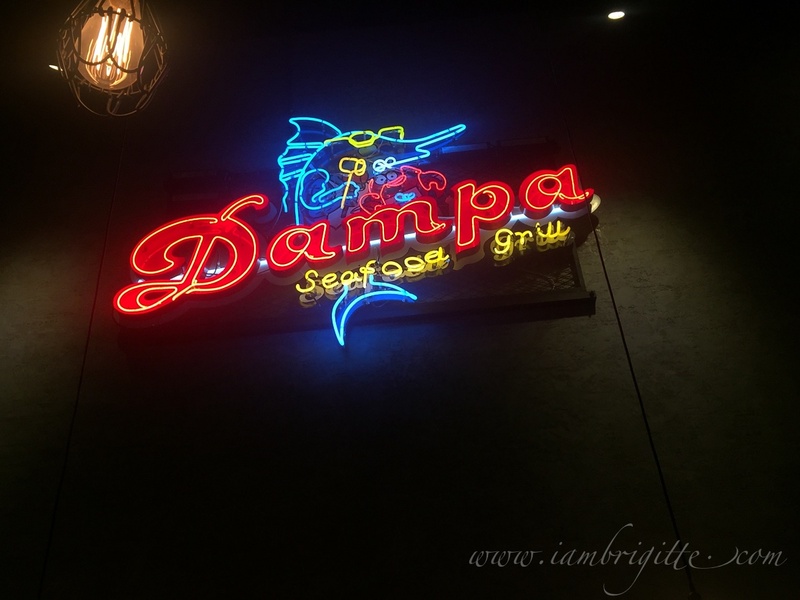 I definitely enjoyed our dining experience at Dampa. 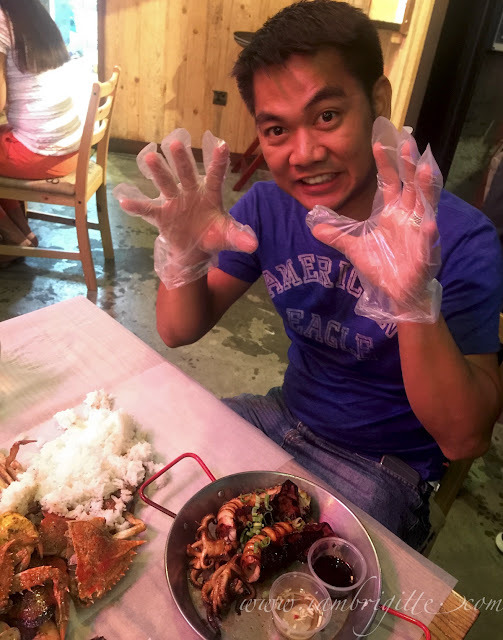 Mr. X and I had no complaints except for the crabs which have a very little to no meat at all. In short, luno, as they would call a payat na alimango in Tagalog. I'm not sure if it's going to be the same had we ordered for the Cajun Crabs or the Crab Boil. I'm thinking they are reserving their good batch of crabs for those dishes. In any case, I still enjoyed the food. 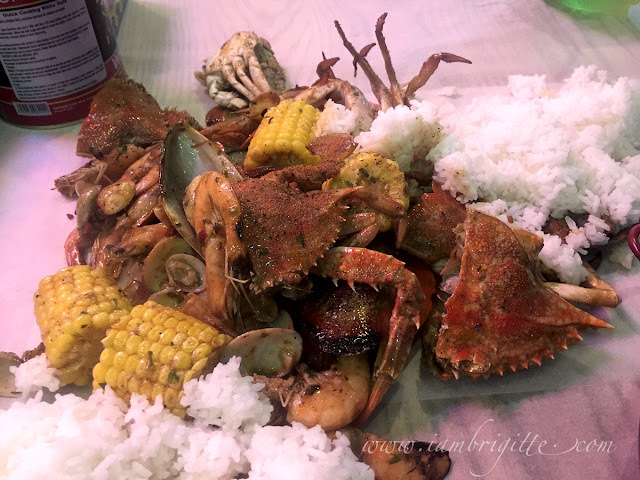 That little disappointment with the crabs got overridden with a lot of other good things: good food, nice and no frills ambience, courteous and attentive staff and reasonable price. Too bad their version of my favorite Contis' Mango Bravo is not available that time. I would have loved to give it a try. But I don't really worry as I am sure we'll be going back some other time. Hopefully soon! 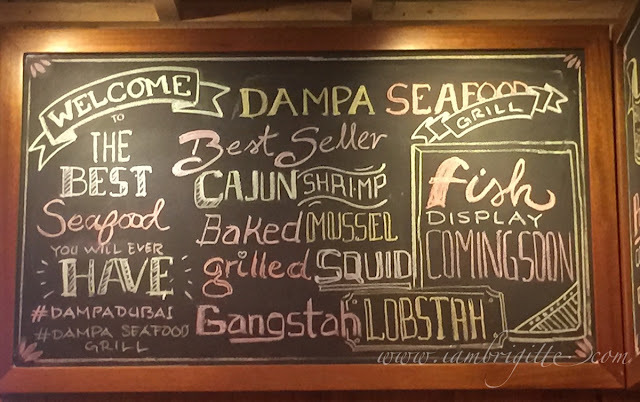 Dampa Seafood Grill is located at Centurion Star Building, behind Day to Day and opposite Deira City Center.